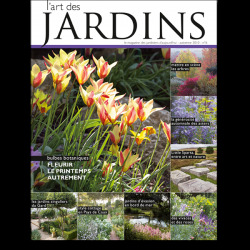 Issue n°6 of L'Art des Jardins features botanical tulips, asters, exceptional gardens in the Brittany, Rhône-Alpes and Centre regions. 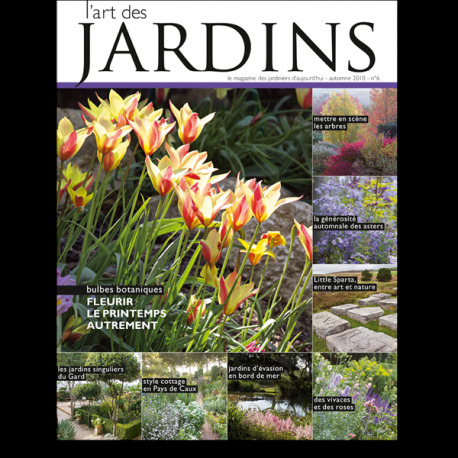 With this 6th issue, L'Art des Jardins finally matches its ediorial cycle to the natural rhythm of the seasons. As autumn beckons us to embark on forest walks, we take you to two tree gardens, the Bois Marquis and the Pré des Culands, as well as to two exceptional estates dedicated exclusively to exotic plants, the Pellinec in Brittany and the Boirie on Oléron island - there is even a peek at some very romantic and refined mature gardens. 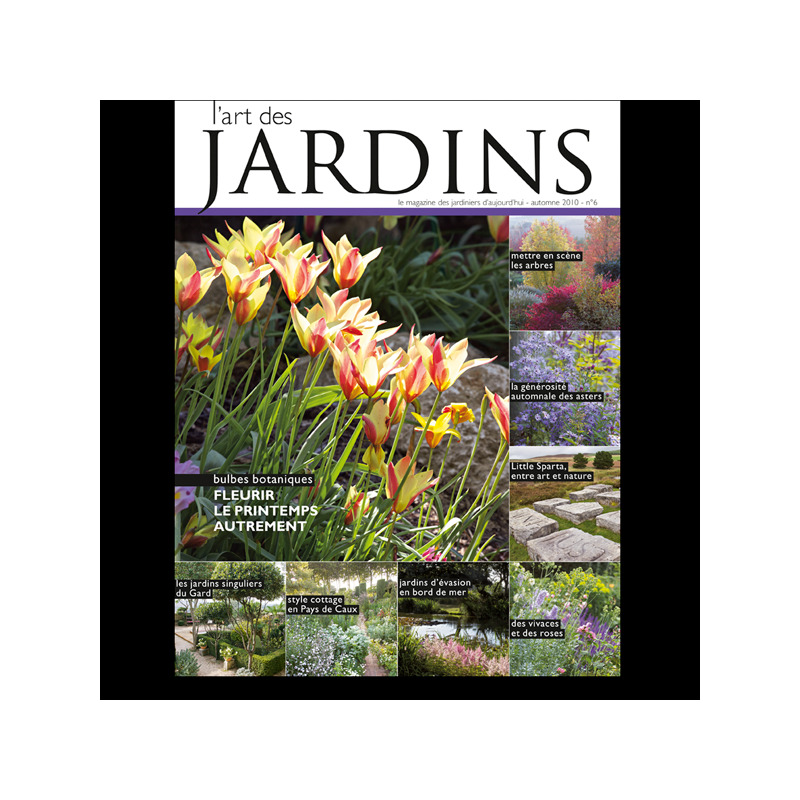 In honour of the plant festival, we take a closer look at the wealth and variety of botanical bulbs and asters. Sure to please!